NetGalley November: ARC Review of Covenant From Hell by Priscilla Royal! An extra out of day Friday Reads review in the last day of November for my last NetGalley November entry. I really didn't do too well, but at least I improved my ratio a lil bit! Still, I will continue to prioritize my NetGalley ARCs through December too, so I can at least start the New Year with the recommended 80% ratio! When I requested the ARC of this book on NetGalley I wasn't aware that it was the 10th book in a series, but once my request was approved I decided to read it as a stand alone and see how well that would work. Thankfully the book reads well enough as a stand alone, with enough information being revealed and explained about backstories of characters to understand them better. The series follow a monk and a prioress of a special order where monks and nuns are allowed to work together and the top authority of the order is in the hands of a woman, since it is dedicated to the Queen of Heaven, the Virgin Mary. These two tend to find themselves in the middle of mysteries and crimes and are a bit of a detective duo. Covenant with Hell is a Middle Ages murder mystery, that seems to be easy to figure out at first, but once the bigger conspiracy comes to the front, things are not as straight forward as it might have seem at first. Brother Thomas and Priestess Eleonor are quite well developed and their relationship clearly has been developed along a few books, but that wasn't a problem for me to get into the story and to side with these two. The book have some different POVs and at first it seemed a lil disjointed at first, but later on all the previous chapters started adding up and all the hints and information made sense. The setting and all the historical elements felt very genuine and authentic, clearly the author knows her stuff when it comes to the Middle Ages. The murder mystery was done well, and I liked how in the end the guilty party is the least likely. Quite entertaining, and though this is not a fault of the book, I just kept on enraging myself with the treatment to women in that era. Once the action got going a bit more and all the different POVs started making more sense together, the story picked up speed. I wasn't too happy that the final resolution of the conspiracy and the murder was just told to the characters and not part of the action. Still, I feel quite intrigued to read the previous books of the series. 3.5 stars, entertaining but not can't-tear-my-eyes-off-the-page. Friday Reads: ARC Review of Cracked by Eliza Crewe!! For the next entry of this week's Friday Reads there's another ARC review, even though I have failed my intended target of my NetGalley November challenge, I will try to improve my ratio through December to start 2014 better! Cracked was one of the first books I got after being auto-approved by Strange Chemistry on NetGalley and I'm so thankful they did. Seems that Strange Chemistry is an inprint that like taking risks with the stories they publish. Cracked is the story of Meda Melange, a girl that isn't sure what she is except that she is one of the things that go bump in the night. Our first encounter with her is at an assylum and she ends up eating up a man's soul. The guy was a bad guy but still, it is quite a shocking beginning to present your main character like that. And it just simply work perfectly for Meda's character. The story is very original from the way demons are presented, to how they use Templar knights as the good guys and how they present them updated as bikers! But the best thing about this book is the characters, and not only Meda! Presenting a character that considers herself evil and that acts selfishly and does quite a lot of reprehensible things and making you simply love her and get to care about her path so much is quite a wonder, and it's something that Eliza Crewe does flawlessly! I started rooting for Meda since page 1 and I love how she kept on growing and changing throughout the book. Her inner dialogue and voice was so much fun to read! If you had some very interesting secondary characters with distinctive voices and a few twists here and there, you get a very fun read and quite different from everything that's out there in YA. I was also very glad that the romance there was didn't really take the front stage and also wasn't the focus for Meda at all, and even happier that there was no love triangle! The book ends with enough openings to want to read a sequel but not in such a way to have you weeping with another heartbreaking cliffhanger, for which I am very grateful, I think I've had enough cliffhangers for the year! A book I'd really recommend for anyone looking for a fun, different read and very much deserving of 4 stars! Friday Reads: Mini Reviews of Night of Cake And Puppets and Brooke! For this week's edition of Friday Reads I'm happy to say that I have successfully completed my challenge of November is for Novellas that Lisa Loves Literature set up! I have read all the novellas I had planned to and one extra! Sometimes novellas are more fun than anything else, and sometimes they add to the story and manage to make you appreciate a character that you weren't so keen on before. Brooke, the novella, manages the later for me, and I was trying to find time at work this last night to finish it! We get to know her a little bit better, with a few flashbacks and also quite a bit of introspection and we get to understand her motivations better. Her POV is not as harsh or confrontational as she comes along when it's from Aria's, and we also get to see how kick arse she is. I'm all for kick arse main ladies, and the more the merrier! Brooke can hold her own with any of the guys from the Six. She seems to be trying to sort out herself and her feelings for Perry and also, there's a threat to the Tides' new compound in the cave. Loads of action with some romance and a bit of flirting here and there rounds up this novella pretty well. A very nice addition to the TTEN world, and having the first three chapters of Into The Still Blue doesn't hurt either! Well deserved 3.5 to 4 stars! Night of Cake & Puppets was my introduction to the world of Laini Taylor's Daughter of Smoke & Bones series, and it showed me that I have really been missing out! I was so tempted to just start the first book right after reading this one, but I've decided that I'll wait till the final book is out so I can binge read the whole series! This is the story of Zuzana, the "rabid fairy", and Mik her "violin boy" and how their first night and first date played out. I went into this story knowing nothing about the world or the characters and I was enthralled, enchanted and in love by the first few pages! The writing is just fabulous, so evocative and so strong! Full of magic & quite creepy, fantastic really. And the characters have such fantastic and unique voices, I fell in love with them instantly. If you, like me, hadn't read anything by Laini Taylor before do start with this one! Even if it's gonna be probably a bigger treat for those fans of the books, it was a perfect stand alone introduction to the world and an absolute treat to read! Very well deserved 5 stars! The Rising by Terra Harmony: Guest Post & Giveaway!! Hello everyone! 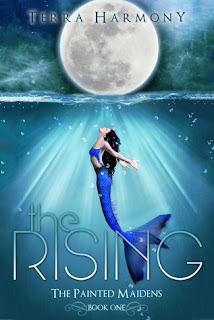 This week I have a special guest over in the blog, she is Terra Harmony the author of The Rising, a paranormal story that mixes Mermaids and Werewolves. She very generously offered to write a guest post to tell us why did she decide to mix such different creatures and also will be giving away 5 copies of the book for 5 lucky readers!! Mermaids and Werewolves – A match Made in Heaven? First, a big thanks to Pili for having me as a guest on her blog! Pili mentioned how intrigued she was with the combination of mermaids and werewolves in a book. I think that is one aspect that draws some readers to the book…and let's be honest, it may send some readers packing before they get the chance! So, why did I decide to use both in my story? If you've read my other books in The Akasha Series, you'll know that I'll drive you to despise a character in one book, but then try to make you sympathize with him in the next. Writing, for me, is a hobby and I try to make it fun! So when I wanted to write a series focusing on a fantasy creature, I had to get creative. Vampires – have been done. Angels – too…feathery for me. Elves – too short. Fairies – meh, maybe later. But mermaids – YES! Werewolves – have also been done, but never like this. I really, really want to delve into thedeeper connection between mermaids and werewolves, but I can't without ruining the book for you. Though I can let you in on a few secrets. The werewolves once served as protectors for the mermaids when they came ashore to mate and give birth. The relationship turned sour, and the werewolves revolted in a night that became known as the Maiden's Massacre. Let me tell you, each creature undergoes a transformation – and those transformations have more similarities than you may realize. Each creature is also tied to the cycles of the moon, just as our oceans are. The first book of the series goes into this, though it focuses on the mermaid society more than anything. The second book will reveal a lot of the werewolf society, and I can't wait to reveal the contrasts! Respond below – what are some of your favorite fantasy creatures, and what pairings would you love to see? population. Werewolves, who once served as protectors for mermaids in the Kingdom of the Undine, now seek to eliminate all who dwell in the ocean—and Serena is about to find herself right in the middle of the deadly conflict. Given the title of Werewolf Liaison, Serena is determined to make things right for her people. When she ventures to The Dry, she meets Liam, the werewolf with hazel eyes, and her whole world gets turned upside down. As Serena discovers the real history between werewolves and mermaids, she is left wondering who her true enemies are. Terra currently lives in a suburb of Washington, DC with her husband of 14 years and three children. And here's the giveaway!! I decided to try Rafflecopter since I think it's easier for me to manage and for you guys to complete steps! This week I'm gonna be having two books sharing the spotlight, one a novella, one a full size book and both part of the same series! They are Bitter Sweet Love & White Hot Kiss by Jennifer L Armentrout! 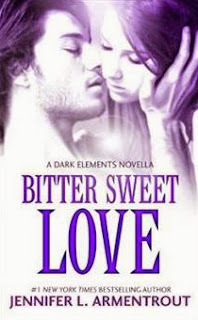 "In a sizzling prequel novella to her new series THE DARK ELEMENTS, #1 New York Times bestselling author Jennifer L. Armentrout draws readers into the extraordinary, irresistible world of Wardens and demons. Dez wasn't just Jasmine's crush. A gargoyle Warden like Jas, he helped her come to terms with her destiny—fending off demons and maintaining balance between good and evil. He was her everything...right until the moment he disappeared without a trace. It didn't help that Jas's father had just announced that she and Dez would one day be mated. Hard not to take that personally. And now he's back, three years older, ten times hotter, ready to pick up exactly where they left off. But Jas isn't taking that risk again. Dez has seven days to meet all her conditions and earn back her trust. Seven days filled with terrifying danger and sweet temptation. Seven days to win her heart—or shatter it all over again..."
"One kiss could be the last. Why am I eagerly awaiting both Bitter Sweet Love & White Hot Kiss? Well, I really enjoy the way Jennifer L Armentrout writes her romance and the humour she always has in her books, and these two are about gargoyles! I love paranormal stuff and there's barely any books out there with gargoyles! (The only other book/series that comes to mind are the ParaWars series by Caitlin Greer!). Mark This Book Monday: ARC Review of The Pentrals by Crystal Mack! For this next entry of Mark This Book Monday I'm sharing another ARC review that is part of my NetGalley November challenge! I'm doing quite worse than I hope, but I'm still trying to manage a decent amount to not fail my challenge too badly! I was quite intrigued when I read the blurb of The Pentrals in NetGalley so I decided to request it. I will try my best to keep this review as spoiler free as possible. I have to say that despite not being a perfect read it didn't disappoint at all. The premise is quite unique since it is told from the perspective of a Shadow, a level 2 Pentral, that calls herself Antares. A Shadow is exactly what it sounds like, a dark mirror of our movements and shape, without details or colour. And they're assigned a Person on birth, a Person they have to Shadow in all their movements. Violet is Antares person and she's been having a very hard time as of late, and Antares is not very sure as to why since her perspective doesn't allow her enough information. The setting of our story is in a utopian/dystopian city all covered in mirrors to make the most of the solar energy (or at least that's the official story). Then things do change when one day in a freak occurrence Violet and Antares swap places and Antares finds herself inside Violet's body. We learn quite a few things about the Pentrals, that there are 4 levels, that there are two kinds of Pentrals, Shadows and Reflections and that Pentrals could have been humans before, which made me think of it equalling souls with Pentrals but it was never explained as such. There's still a lot of unexplained parts of this world, about the Pentrals and how they work and I'm hoping it will be expanded in the upcoming books. It still makes sense to have limited knowledge given we are seeing everything through Antares' perspective and as a Shadow her life was focused on working to match her Person's actions, nothing else. The dystopian angle is given via a conspiracy and a puppet master pulling the strings behind all that's happening in the city. The controlling drugs, the mirripulation (that was a word that I couldn't help but think was not the best choice, it might fit but kept on sounding silly to me). We get some info on what and who might be behind it, but not enough on the why's. A proper villain needs a good motivation and get are given hints but not a strong justification. Again, I think it'll be explained and expanded on the next books but it gave the book a bit of an unfinished feel. It was clearly a first book in a series, given us enough setting to get us started, but just with general big strokes and not enough detail. The world building is there but there are lot of questions unanswered and we get a bit of a rather limited look at the world. With the way the book ends we get a few answers and loads more questions, but it doesn't end with a throat-cutting cliffhanger, which is to be grateful for. The characters are well fleshed out, though some seem to have more life to them than others and the narrative is quite engaging. All in all quite a good debut, deserving of 3.5 stars. Mark This Book Monday: Mini Reviews of No Place Like Oz and The Fall of the Hotel Dumort! Hello everyone! This week's first Mark This Book Monday are No Place Like Oz by Danielle Paige & The Fall of the Hotel Dumort by Cassandra Clare and Maureen Johnson and are part of my November is for Novellas challenge! These ones are my third & fourth novella read, so I only have one more to go to complete my challenge! When I first heard about Dorothy Must Die I was quite excited, since I love alternative stories and I'm a huge fan of Wicked, so I thought that an alternative story where Dorothy returns to Oz and ends up being evil would be great, so I decided to dip my toe in the waters and read this novella first. At 196 pages is more than just a short story and it's the how our dear sweet Dorothy goes from wholesome to evil. No Place Like Oz starts with Dorothy back in Kansas and not so happy to be back as she thought she'd be. She enjoyed the attention she got when she returned and now she finds settling back to her quite ordinary life in the Kansas' farm is near impossible. Everyone thinks all her stories are lies and she feels very much apart. But then on her 16th birthday she is taken back to Oz, with her aunt and uncle in tow this time! The progression of the story was interesting but somehow the change was a little too subtle at first and then too clear. We meet with other well known characters and we're not entirely sure who the bad guys are or why a choice is better than others. I found some of the suggestions of what Oz does to those who come from outside quite intriguing and I'm still curious enough to read Dorothy Must Die, but I wasn't swept up by the story. I think it managed to show us how Dorothy might have turned bad, but I'm afraid it was done a bit too much in the fairy tale way and not with too much depth. Hopefully the Dorothy in the book will be a bit of a more formidable villain with depth! An interesting enough read, but not gripping or mind blowing so it gets 3 stars. The Fall of the Hotel Dumort is the next instance in the Bane Chronicles, and this one takes us even closer to the present date, since it takes place in the 70's. Magnus returns to the US after a pair of years away and finds New York changed, with the vampires acting very violent & randomly. The Downworlders are worried about a possible intervention of the Shadowhunters that wouldn't be just against the vampires, but would put the Accords in danger. This episode does help us understand a bit better the relationship between Camille and Magnus in TMI, and they each react to meeting again. It also gives us the reason as to why the hotel it's called Dumort now. Seems that the closer to present time we get, the better the stories that Magnus is involved in are weaved in the known human history. An entertaining read that deserves 3.5 stars. My fellow blogger and twitter friend Octavia from Read.Sleep.Repeat recently did this and it inspired me to share some random stuff about me, somethings you might now, some might not! 1.- I am a nurse and I work in an Oncohaematology ward. Yes, it is tough but it is also inbelievably rewarding. 2.- I've been a bookworm since a very early age. I finished all the books in my school library when I was 11, so I was directed by the librarian to the district library that luckily was right next to my school! 3.- I'm from Spain and my bf is from New Delhi, India. We met in the Star Wars message boards of all places, geeking out about the upcoming Revenge of The Sith movie in 2004... And yes, we are in a long distance relationship. 4.- I'm a science fiction geek/nerd/dork/howeveryouwannacallit. My biggest loves are Star Wars and Firefly. 5.- I am member of the rewards programs of three different airlines. AirFrance/KLM, British Airways and Emirates. Travelling to India at least twice a year means sometimes I upgrade to business class on miles alone! 6.- I was stuck for 5 days in London's Heathrow during the big snow-debacle of December 2010 and despite the huge disrruption it was, it was quite an experience in itself, and there were loads of positives. 7.- Despite being pardesi (that means non-Indian in hindi) I know how to drape a saree in 3 different ways and can order a saree with a made to order petticoat and blouse! The wonders of the internet! Also, Youtube has some brilliant tutorials! 8.- I'm a huge Agatha Christie fan and I also have a rather unusual love for all things Victorian! 9.- I am NOT a morning person at all! If I have to work morning shift I wake up thinking of taking a nap! I'm totally a night owl, and I rather stay up till 5 am than wake up at 5 am! 10.- English is my second language, but I started watching cartoons in English when I was 3 cause according to what I told my mum "I like them better, mummy!". 11.- I have a very ecclectic taste in music, I was (and still am, just in a different degree) a huge Take That fan, and I also love rock and heavy metal! I also love classical music, some pop music and I absolutely adore Irish folk music! 12.- I have an absolute fascination with Ireland and Irish myths. I'd love to move to Ireland one day! 13.- I love baking almost as much as I love reading. My latest obsession for a pair of years have been cupcakes, and I love plotting new recipes! 14.- I met 4 of my best friends in nursing school, another one I met in my last year of high school and the other one I've been friends with since 5th grade! 15.- Except for this last year the bf and me have gone together to one Iron Maiden concert each year since we've been together! 16.- I'm a huge suporter of the handmade movement and I love buying everything I can from artisans and small businesses. 17.- I'm 5'3" and that means that my brother, my nephews and my boyfriend use me as head rest since all of them are 6 feet or taller. 18.- My brother is 17 years older than me, which means the age difference with my brother is bigger than with either of my nephews! I'm only 9 years older than my elder nephew and 15 years to the younger. 19.- I love chocolate. That doesn't mean that I have to devour all chocolate around the house all the time, but that means that I always need to have some chocolate in the house! 20.- The bf jokes I must be part vampire cause I have cold feet and hands all the time in winter and even sleep with woolly socks! That's it! If you feel like doing one of these too, leave a link in the comments!! Cover Reveal: Pretty When She Dies by Rhiannon Frater!! Hello guys! 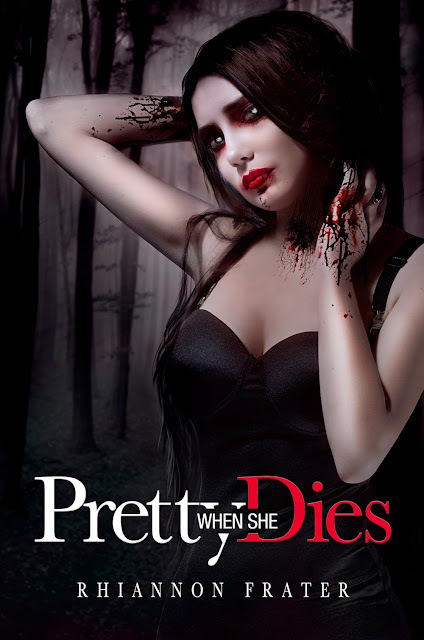 Today there's an extra special entry that is not exactly a Friday Reads, but I am super excited to share with you the new cover for one of my recent fave paranormal reads: Pretty When She Dies by Rhiannon Frater! Pretty When She Dies is the first book in an awesome trilogy and the third and final book, Pretty When She Destroys, came out this August. I highly recommend this books for anyone who loves old school vampires with their horror roots and also loves strong heroines! Sating her great hunger, she discovers that she is now a vampire, the bloodthirsty creature of legend. She has no choice but to flee from her old life and travels across Texas. Her new hunger spurs her to leave a wake of death and blood behind her as she struggles with her new nature. All the while, her creator is watching. He is ancient, he is powerful, and what’s worse is that he’s a necromancer. He has the power to force the dead to do his bidding. Amaliya realizes she is but a pawn in a twisted game, and her only hope for survival is to seek out one of her own kind. But if Amaliya finds another vampire, will it mean her salvation… or her death?" Are you guys ready to see the creepy and awesome cover? Yes? Ain't it just gorgeous? It also matches better the covers for book 2 & 3 since they also feature Amaliya in different poses. 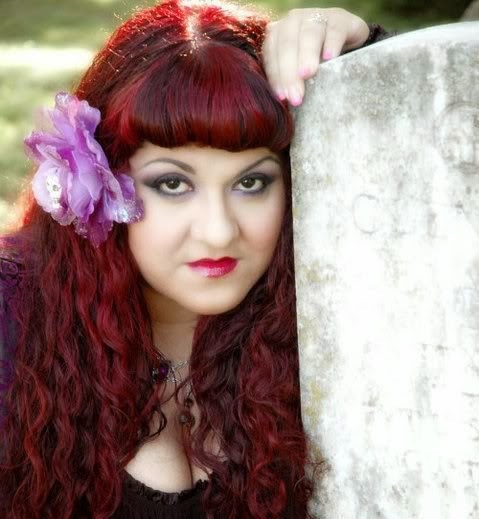 Rhiannon Frater is the award-winning author of the As the World Dies trilogy (The First Days, Fighting to Survive, Siege,) and the author of three other books: the vampire novels Pretty When She Dies and The Tale of the Vampire Bride and the young-adult zombie novel The Living Dead Boy and the Zombie Hunters. Inspired to independently produce her work from the urging of her fans, she published The First Days in late 2008 and quickly gathered a cult following. 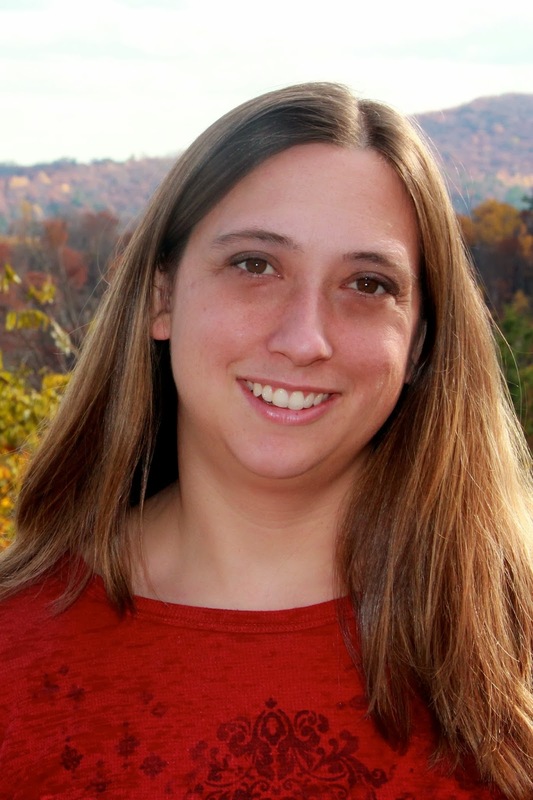 She won the Dead Letter Award back-to-back for both The First Days and Fighting to Survive, the former of which the Harrisburg Book Examiner called ‘one of the best zombie books of the decade.’ Rhiannon is currently represented by Hannah Gordon of the Foundry + Literary Media agency. You may contact her by sending an email to rhiannonfrater@gmail.com. Friday Reads: ARC Review of Pawn by Aimee Carter! Next on this week's Friday Reads is an ARC review that is part of my NetGalley November challenge! I still have a lot of catching up to do, but at least I managed to read and review Pawn before its release date of November 26th! 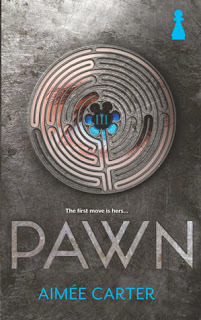 I'm quite a fan of dystopian books so when I found out about Pawn I requested it immediately on NetGalley, so thank you Harlequin Teen for approving my request! Since I've read quite a few dystopian books already I usually trust my judgement on the blurb of the book but with Pawn I'm glad I decided to not trust my first instinct completely, cause I wasn't 100% sold on it, but the title reference to chess made me want to read the book, and I'm quite glad I did! This world we found ourselves in boasts of being based on merit, you take a test at 17 and it will determine your rank number and from then on your jobs and the kind of life you'll have. From I to VI, because the VII's are by birth only and they're the Harts, the ruling family. Kitty can't complete her exam and is awarded only a III, which means she'll spend her life cleaning sewers. She rebels against her fate and tries another not-much-better option and due to some random chance she's given the chance to became a VII, being Masked and taking the place of Lila Hart, the niece of the current Prime Minister. One of the best things about Pawn and that I must really praise the author for is how she doesn't hold back any punches. She does show us all the ugly stuff and she's not afraid to face the reader with a very harsh reality out there. In this dystopian the Earth is not trying to kill us with natural catastrophes, here it's all about power, political and economical, control and the ugliness that human nature is capable of. Kitty is thrown into a mess of family conflicts and political intrigue without much of a warning and she has to learn how to be someone else and how to negotiate who she's supposed to be without losing sense of who she really is. She has to face the ugly and shocking truth behind the propaganda of the Harts and she keeps on being threatened by almost everyone around her to take their side. She's a strong character and she fights to try and make her own choices, to keep those she love safe and to try and stay alive. And she finds that she has the strengh and the wit to do just that by the end of the book. Pawn is full of twists and turns and most of them really took me by surprise! One of the biggest shocks, so big I had to close the book for a moment was the revelation of that Elsewhere really was. Shocking, harsh but not something that humans haven't done before, unfortunately. There's some romance in the book, but Benjy and Kitty had been together before the story starts in Pawn, so we get mostly longing for being together and a motivation for keeping each other safe. There might seem to be some hints to a possible love triangle with Knox, Lila's fiance, at some point but I'd say it was averted in this book and hopefully for the rest of the series! Very happy I got to read this one in advance and very intrigued where the series will take us next. A very original take on the dystopian genre that deserves 4 stars. Friday Reads: Review of World After by Susan Ee!! This week's Friday Reads start with a very much awaited sequel and one book that I started reading as soon as it downloaded to my Kindle app and that kept me up till I finished it, at almost 5 am! World After has been one of those very much awaited sequels of the year, and even if I was lucky enough to read AngelFall earlier this year so the wait was not as long... well, it still was a nail-biting-kind-of-wait! Angelfall was my favourite angel book ever and a book I have to push the bf to read and World After is the kind of sequel that makes you happy, avoiding any of the falls that sequels might have and living up to the quite high expectations I had for it! I will try my best to keep my review spoiler free, but there might be some spoilers for Angelfall. World After starts exactly where Angelfall leaves us, and so we have Penryn and Raffe apart and dealing with different sets of problems. Penryn now is reunited with her mother and Paige and they have been rescued by the Resistance. We meet again with some of the characters that Raffe and Penryn encountered, like Dee and Dum and it seems like being with them is the best option for Penryn and her family. Penryn is the focus of most of the action for a big part of the book but that doesn't mean Raffe is completely absent, since we get some flashbacks/memories from Raffe's POV that are an absolute treat. This book is full of action and full of very tough emotional moments, with once again a big look at the best and worst of human nature. We also get to learn a bit more about the politics of what's going on with the angels, and none of the information we learn is pretty or good news. Penryn goes through a lot of tough choices and she has to learn some really hard lessons, not only about the world she now lives in, but also about her own reactions and choices. The moment she and Raffe are reunited we get back their banter and Raffe's sense of humour and we also get plenty of adorable swoony moments even through some life and death situations. Romance here is not your typical YA one, there are loads of small moments but they are not what moves the plot along at all. Penryn and Raffe are not yet a couple but they make one hell of an awesome team. There are plenty of creepy moments, some supplied by Penryn's mom herself. She is such a complex character, always changing and always making you wonder how crazy she really is? And how come she get those moments of clarity? And what if she really has some knowledge and her talking of the devil is more than just her madness at play? Paige is also quite a mystery and a very complex character, and I'm quite intrigued as to what her role will be in the upcoming books. World After was a brilliant mix of action, humour and plot progression sprinkled with a little understated romance for good measure. A fantastic sequel that earns a very well deserved 4.5 stars. 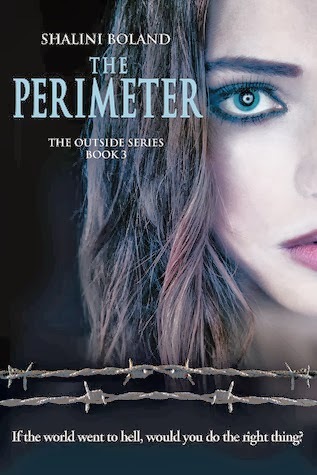 Book Blitz: The Perimeter by Shalini Boland! In this fractured world, a sinister force is coming for Riley, and the only things keeping her safe are a perimeter fence and the people she loves. As her life is threatened, she must make impossible choices. But help comes from the most unlikely of places, and all Riley needs to know is: who can she really trust? Meanwhile, a repentant killer searches for peace and salvation, but what he gets is the exact opposite. Now he’ll have to make the hardest decision of his life. The Perimeter is a darkly captivating dystopian tale of adventure, danger, love and redemption that will have you on the edge of your seat and up at night turning the pages to find out what happens next . . .
Set in the near future, these three heart-stopping novels follow Riley as she overcomes the murder of her younger sister by tracking down the killer across a post-apocalyptic Britain. At the same time, she is forced to take on the might of a twisted regime intent on conquering the nation. The series is packed with action, suspense, drama and dystopian adventure. 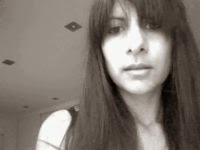 Shalini lives in Dorset, England with her husband and two noisy boys. Before children, she was signed to Universal Music as a singer songwriter. Now, writing novels has hijacked her life and she is usually to be found with a laptop welded to her fingers and the house in a permanent state of neglect. 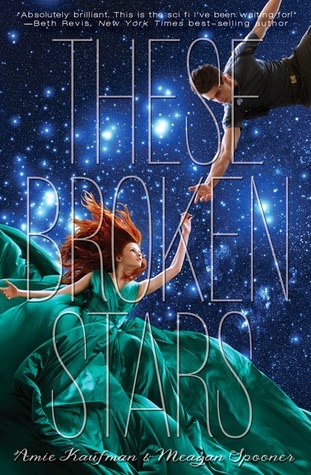 These Broken Stars by Amie Kaufman & Meagan Spooner is the book I'm just dying to get my hands on this week! It's been for a while and after all the awesome reviews it's been getting as of late I-JUST-CANNOT-WAIT!! "It's a night like any other on board the Icarus. Then, catastrophe strikes: the massive luxury spaceliner is yanked out of hyperspace and plummets into the nearest planet. Lilac LaRoux and Tarver Merendsen survive. And they seem to be alone. Everything changes when they uncover the truth behind the chilling whispers that haunt their every step. Lilac and Tarver may find a way off this planet. But they won’t be the same people who landed on it." Why am I eagerly awaiting These Broken Stars? Well, first of all I must confess myself guilty of cover lust but really, ain't it just gorgeous?? The cover grabbed my attention and then when I read the synopsis I was hooked! Sci-fi, space, survival in a deserted planet!! I decided to go on a limb and preoder the cover way back then, and now after reading so many fantastic reviews all over the place from bloggers I trust, I'm just bursting to read it!! 2014 Series Challenge by Read.Sleep.Repeat!! It might seem a bit early to already sign up for a challenge for next year, when I already have two ongoing for this month, but this one challenge was really a great idea! Octavia from Read.Sleep.Repeat has set up a challenge for 2014 to finish up series! All those series you add to your TBR list but haven't started or those series you started but never really got to finish even though the series has finished or will finish in 2014! 1. Ashfall series by Mike Mullin. 2. Daughter of Smoke & Bone series by Laini Taylor. 3. Black City series by Elizabeth Richards. 4. Razorland series by Ann Aguirre. 5. The Dark Unwinding series by Sharon Cameron. 6. Skylark series by Meagan Spooner. 7. Darklight series by Darynda Jones. 8. Shades of London by Maureen Johnson. 9. Legend series by Marie Lu. 10. Awaken series by Katie Kacvinsky. Some of those I have already started, but have just read the first book, and others I haven't even started but I've heard so many good things about them that I just must read them! Come January 2014, I'll start cracking! Mark This Book Monday: Mini reviews for Saving Raphael Santiago and The Moth In The Mirror! Hello everyone! This edition of Mark This Book Monday is a bit late, but my schedule and life is still adjusting after vacation and even more since I've barely had a day off since I came back! Today's reviews are for two novellas I've read to try and make sure that at least one of my challenges for the month will be a success! The Bane Chronicles are always a fun read and a quick one, but some are more memorable than others. This one it's one of the more memorable ones, it might be cause we encounter another character that we know from the Mortal Instruments series, and that I always found quite intriguing, or it might also be cause we see the kinder side of Magnus. Here he's his usual charming and outrageous self, but we see the side of him that doesn't mind getting in trouble to help others. We get the backstory or even more aptly name, the beginning of the story of Raphael Santiago, the same Raphael we met on TMI and we do learn about how he was turned and we get a bit of a look at what makes him tick and we see how he started the road to being where he is when we met him on TMI. All in all a very good read, probably one of my faves of the series, with a very good balance between humour, seriousness and background info! Well deserved 4 stars. This novella was quite awaited since it features both Jeb and Morpheus and is a different POV for some of the scenes from Splintered. Also it'll help us with the wait till Unhinged! The Moth in the Mirror has both Morpheus and Jeb's POV. Though all the scenes from Splintered are from Jeb's POV we also get a bit of a look into Morpheus' head, which is quite interesting! We get a bit more info on what was going on that we didn't know before and we understand a bit better Morpheus' motivations. It also managed to make me even more excited for Unhinged that I already was so big kudos to Anita Howard for that! A very well deserved 4 stars to this one! November is for Novellas challenge!! I know, I know... some of you might be wondering, but haven't you already signed up for another challenge for November already and you are not doing too well with it? Well yes, my NetGalley November challenge is not moving on as fast as I might have wanted since I've only read and reviewed 3 books so far, and I was hoping to read between 11-15... but at least my rate has already improved! But this other challenge is going to help me with my motivation for that one too. Because November is for Novellas is a challenge to go ahead and read all of those novellas that are part of series we love, that are short, that give us some fun and interesting bits that add to the series! This challenge was created by Lisa from Lisa Loves Literature so she could read something while focusing more on writing for NaNoWriMo. 1. The Moth in the Mirror by A.G. Howard. Let's see how well I do! I'll probably do mini reviews for these, so it'll be quick reads and quick reviews! Friday Reads: ARC Review of The Rising by Terra Harmony! As the final review for this week's Friday Reads another ARC review that will count towards my NetGalley November challenge! I requested The Rising on NetGalley because it sounded like quite a different take on the paranormal. I haven't read any books about mermaids before cause they usually don't sound appealing enough to me, but werewolves are quite common paranormal creatures, but I don't think I've encountered a book that mixes both the way The Rising does. The Rising was quite a pleasant surprise, it was a very engaging book that not only had a different and unique premise, but also managed to tell a good story in the first book of a trilogy. This is a world were Undines (that don't like to be called mermaids) and werewolves were once allies and after a bloody massacre in which many Undines perished, they became enemies. This has had very dire consequences for the Undine society, so much that it's threatening the very existence of their race. Selena is our main character, an Undine of the last generation born and a loner. She doesn't seem to fit in with normal society with her experiments and her excursions to The Dry. She finds herself in a very difficult position and is assigned the task of being the new liason with the werewolves. She knows it'd be very dangerous but she didn't know she find out more than she could have ever imagined! The book has a few twists, some that are easier to anticipate than others. It is quite a good first book, with enough world building to prepare the stage for what's to come, with a few surprises there to make things a lil more interesting. With its own action and climax in the end and without a cliffhanger! It leaves tension and questions unanswered to look forward to in the next book, and I will be eagerly awaiting to read it! A little undecided between 3.5 and 4 starts. Friday Reads: ARC Review of Bellman And Black by Diane Setterfield! Next on this week's edition of Friday Reads is an ARC review that is part of my NetGalley November challenge! I was extremely lucky to get an eARC of this book via NetGalley and even more since I was invited to get it via e-mail, since I had no idea Diane Setterfield had another book coming out! Bellman & Black is a rather different book from The Thirteenth Tale but it had a very similar feel to it for me, it felt like it could have been a contemporary for gothic novels like those by Poe et al as much as The Thirteenth Tale could have been a Brontë novel. The atmosphere of the novel as a whole added to the fact that the action was placed in Victorian times makes it feel like one of the classic pieces instead of a novel written recently. If I had to give it an alternative title it could very well be called "Of Rook and Men" because rooks have such an integral part in this book! You can argue this is the life story of William Bellman and you would be right, but are you sure? Because maybe that's what you as a human expect, but what if it wasn't? Cryptic much? Well, it's just part of the feeling that I got upon finishing the book. William Bellman's story starts when he was a boy and one fateful day he killed a rook with his catapult. He really didn't mean to and he wasn't sure he could, but he did. He was so horrified that he went home and tried to erase it from his mind as soon as he could. We follow him growing up, working hard and getting successful, but absolutely failing at dealing with death. He seems to shut down and refuse to grief or even think of the losses, so he simply throws himself into his work. And he is a very successful man all his life, all his endeavours prosper greatly but is he happy? Does he even stop to think about it? Every chapter about Bellman's life is punctuated with some rook lore that I found quite fascinating and although I kept wondering sometimes what the connection would be in the end. The story is not scary per se, not at first sight. But once you think about it once read and left some time to reflect on it, well is quite damned scary what we do with out lives sometimes. You might be wondering who is Black? And I'd have to say that the answer is too complicated and too spoilery to have it here, and besides... you will want to read and draw your own conclusions about it! A great read, disquieting and creepy on occasion, that will make you reflect on human nature and how we face the darker sides of life and ourselves, a reflection on success and happiness and a wonderful collection of rook lore. In short, a proper Gothic novel and very much deserving of 4 stars. Friday Reads: Sentinel by Jennifer L Armentrout! Well, Friday Reads do return to their more usual schedule, with a few posts again, trying to catch up on reviews I have pending after my vacation time! I'm starting with the final book in the Covenant series. The final book of a series always has mixed feeling and this was no exception. Sentinel was one of my very awaited books of the year since it is the final book in the Covenant series. Somehow I am in two minds with this book, because I cannot say I didn't enjoy it, cause I did, but it just left me less emotionally affected than I expected. Deity and Apollyon did manage to grab me and shake much more than this one did, so I guess I felt a lil let down. Fair word of warning, I cannot review Sentinel in a spoiler free way, be it for the series as a whole or for the book in itself. From here on, spoilers may ensue. After the emotional and action avalanche that Deity, Elixir and Apollyon were, I had extremely high expectations for Sentinel and probably a bit unrealistic ones. The thing is, nothing really bothered me while reading the book, I loved Alex as always, Aiden was well... swoon-worthy and their relationship was great, they had to deal with tough stuff and they managed to keep the drama to a minimum and set a decent example of communication, most of the time. They found themselves outnumbered but with some unexpected allies and others not-really-so-unexpected. But once the book was over I felt a little... "meh" I guess? I just don't know how to describe it, and a few days have passed. 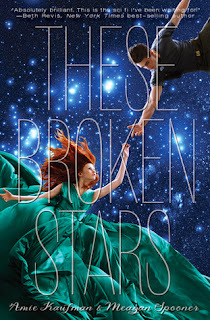 It's not that I'm not happy with the ending, since Jennifer L Armentrout was kind enough with her readers and gave us a pretty happy ending, even if it seemed it wasn't so for a while. I got a bit of a "is this it?" kind of a feeling once I closed the book. Since I can't really define what made me not give this book 5 stars, or why I got that feeling of unease upon finishing it, I'm gonna tell you what I liked. Alex, our dear Alexandria Andros. I absolutely love her crazy headstrong, resilient, snarky and sarcastic self. She is a great main character, with all her flaws and all her great qualities. I love how great her interactions with her uncle are, and how they progressed with each book and how that relationship has changed and how Alex has managed to grow from "foot-in-mouth-talk-first-act-later" to "think-first-kick-later-for-the-most-part". Her relationship with Seth is an extremely complicated one that clearly got worse when Seth lost track of himself but in the this book we see them both trying to patch up their friendship at least. But of course my favourite relationship has to be with Aiden, they have a fantastic chemistry, they support each other and despite some drama here and there, they understand they make each other stronger and also learn to trust and respect each other and their choices. They have to be one of my favourite YA couples for sure! And of course Aiden is quite probably the only one I could feel like I'd really want to claim as book boyfriend! He's strong, supportive, considerate and despite his protectiveness he learns to trust and let Alex make her own choices. I think he's an Alfa without excesive macho attitude and that's just well... swoony! Sentinel as action, has romance, has humour, has hard choices and has a quite satisfying ending. I'm sad to leave this characters and to say goodbye to Alex and Aiden, but it was a good journey and this is still a series I'd recommend. So with all my confused feelings, I'm still giving this final installment 4 stars. This week the book I'm eagerly awaiting is Pawn by Aimee Carter! "YOU CAN BE A VII. IF YOU GIVE UP EVERYTHING. and one Kitty believes in. Faced with threats, conspiracies and a life that's not her own, she must decide which path to choose—and learn how to become more than a pawn in a twisted game she's only beginning to understand." Why am I eagerly awaiting Pawn? Well, just by looking at the cover I was very intrigued to the chess and labyrinth references and then, the synopsis was like a very intriguing and refreshing kind of dystopian, and I really love dystopians with a different twist! It released on November 26th, but I was lucky enough to be approved by Harlequin Teen on NetGalley so I can't wait till I can get to it on my TBR list! What are you all (im)patiently waiting to read this week? ARC Review of The Iron Traitor by Julie Kagawa! The final entry for this Saturday edition of Friday Reads is for the second book of The Iron Fey: Call of the Forgotten series, The Iron Traitor that was released on October 29th. First of all, I have to say a big thank you to Harlequin Teen for approving my request for an eARC of this via NetGalley! The Iron Traitor is a sequel and though I'm not sure if it's just a second book or a middle book (is it a series or a trilogy?) it had to keep up to quite high standards for me and thankfully, it did that and then some! I will try to keep this review as spoiler free as possible, but there might be some spoilers for book 1, even if I'll try to avoid those too. What I'm gonna say from the very beginning... you need to be warned about something, yes THAT cliffhanger ending! I feel like going into the book forewarned about it doesn't take away from the enjoyment of it, but does help a bit dealing with the shock and emotional misery! So thank you, Sam, for the warning about this cliffhanger, I will join your petition for banning them! Ethan now is still getting used to the fact that he's not alone in his fight against the Fey, and he's not even sure he's so against them anymore. He has Kenzie to fight for and he has found some allies in the Nevernever, Keirran and Annwyl, Razor, even Grimalkin and Puck. When the Lost Prince was mostly about Ethan and his own path and fight, here Keirran has a growing role since Ethan and Kenzie are mostly dragged along trying to help him on his quest to save Annwyl. The biggest strenght of this book is that it takes everything that was good from book 1 and takes it up a notch. Our quartet has to go into the Nevernever and not just for a short trip, they have to face Titania and her whims and cruelty, they have to fight old beasts and they will probably start something worse than a war, all of that in the name of love. All the characters grown and progress and Keirran in a very disquieting way, and you start not being sure what is really going on with him. There seems to be quite a deal of information we're not privy to and I'm hoping we'll get some more answers in the next book. The ending... well, you have been warned about the massive emotional cliffhanger from the start, and trust me, it's the kinda cliffhanger that makes you want to be for the next book to come out like yesterday, but we still have a year to wait!! All in all, a great read very much deserving of 4.5 stars! Review of The Lost Prince (The Iron Fey: Call of the Forgotten) by Julie Kawaga! As the next Friday-Reads-but-not-really review, here is the pleasant surprise for me of a book about the Fae that I actually loved and that made me want to read another series about the Fae! Let me start this review stating that I am not a big fan of books about the Fae. If you were to ask me why, I might have a bit of trouble putting into words exactly what is that I dislike, but I am not drawn about books with them as a focus. That is the reason that I still find myself so surprised that I loved this one and even more than after reading it, now I find myself adding the previous series to my TBR list. The Lost Prince is the first book in a spin-off series of the Iron Fey series and it was one of those welcome surprises for me. Well, a book about the Fae that I like? That's always a surprise for me! Ethan is the main character in this book and with his dislike of the Fae I think we connected great right from the start! He is a teenager and his perspective was written so well. He's full of angst and prejudiced against the Fae due to his experiences in the past and how he feels he has lost her sister to Them. He has the Sight, but has become an expert on ignoring Them and protecting himself and his family, or so he thought. He is angry at the Fae and at the world and has built a persona that keeps everyone at arm's lenght so they can't get tangled with the Fae. At the start of the book he is starting in a new school and things start going south very early on. With a reputation partly undeserved and his own desire to push people away, things aren't easy for him. And despite all his precautions, he finds himself in the middle of Fae affairs, and not only that but someone has decided that they want to get to know him. That someone is none other than Kenzie, a girl that won't take no for an answer and that manages to push all the right buttons for him. Ethan and Kenzie end up in the Nevernever, the Fae world, trying to hide from a new and nasty kind of faeries and there we encounter quite a few new characters (old friends for those that have read The Iron Fey books, of course) like the encounter with Grimalkin. He is a talking cat that reminded me so much of the Chesire Cat in Alice in Wonderland! Elusive, irritating and so very cat-like! Meghan as the Iron Queen and still being very much Ethan's sister, Ash, Puck... it was a pleasure meeting them all for the first time, and I felt quite drawn to read their stories. I guess for fans of the original series it must feel different and they might want more from their fave characters, but I'm quite happy I jumped into this spin-off as I did, cause I can appreciate all the new characters more. Keirran was quite a shock for Ethan, since despite being his same age, he's Meghan & Ash's son and so his nephew. He also became an ally even if he had his own agenda. There seems to be more to Keirran than we see at first, and despite his good guy presence, there's something disquieting about him. There's adventure, there's romance and it's the slow burning one and so it is quite a great first book that not only introduce us to a new world but also stands well on its own with plenty of action and an incomplete resolution to the problem of the Forgotten Fey. A great first book and very much deserving of 4 stars! 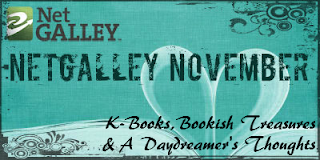 ARC Review of A Study In Darkness by Emma Jane Holloway! Hello everyone! This week's Friday Reads are quite delayed and my reviewing and my blogging have been a bit sparse, but I was on vacation with the boyfriend and we had some very well deserved and needed "us time" so everything else took a back seat. Now back to routine and with the challenge of NetGalley November to complete this month I will be focusing mostly exclusively in all the review copies I have pending and hopefully I'll manage to tackle that pile and make it less daunting! Starting back up, today's first review is for the second book of the Baskerville Affair series. This series is becoming a serious favourite of mine. With the mish mash of steampunk, magic, historical fiction, adventure, romance and political intrigue that they manage to make work fantastically, it's always a treat! A Study in Darkness is book 2 in the series and it is a strong sequel to the first book. I will try my best to make avoid spoilers for this book but be warned, there might be some spoilers for book 1 in this review. Evelina was left heartbroken and in a difficult position by the end of book 1, and in this one she ends up getting herself into even more trouble, but being the strong woman that she is, she takes responsability from her actions and beyond and faces the consequences making a few agreements to make sure she can keep those she love out of trouble. She finds herself moving from the comforts of the higher society to the less comfortable but also less restrictive poorer and darker side of this Steampunk London. She will have to play spy, keep herself out of danger and try to learn as much about her magic as possible. The focus of this book is more on the magic and the political elements and less in the investigating of crimes that was the being theme on book 1. Here the political conspiracy takes a bigger role and we discover a bit more about the Baskerville Affair and how they are trying to fight the Steam Barons. The Steam Barons in turn have their focus divided in two: fighting between themselves to try and get rid of the others and get control of all of London and the Empire and also trying to present an united from against the conspirators of the Baskerville Affair. Evelina finds herself in the middle of the struggle as are also her two uncles, Sherlock & Mycroft, though each of them for different reasons. There's plenty of intrigue and action to keep you glued to the pages, with quite a few twists and turns along the way. With a pinch of romance to keep everything interesting and to give poor Evelina a respite of all the bleak perspectives that she is drowing in. The love triangle is thankfully resolved, and even I wasn't sure I had a favourite before, I think I'm pretty happy with how it all was done. If all of this wasn't enough, the author has managed to seamlessly thread into the story the crimes of Jack the Reaper, and how it all was tied with the story was just great. Who was behind the crimes and the motivations... very well done, and soooo creepy! The book ends with loads of action, Evelina finding herself once again in a position where she has to sacrifice her freedom for the sake of others and with a jaw dropping cliffhanger that I would have never expected! Very well deserved 4 stars for this one! 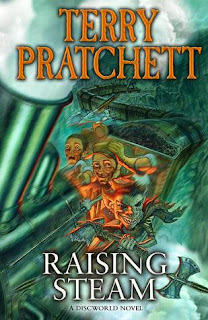 The book I'm quite excited about this week is the new installment in the Discworld series: Raising Steam by Terry Pratchett!! "To the consternation of the patrician, Lord Vetinari, a new invention has arrived in Ankh-Morpork - a great clanging monster of a machine that harnesses the power of all the elements: earth, air, fire and water. This being Ankh-Morpork, it's soon drawing astonished crowds, some of whom caught the zeitgeist early and arrive armed with notepads and very sensible rainwear. Steam is rising over Discworld, driven by Mister Simnel, the man wi' t'flat cap and sliding rule who has an interesting arrangement with the sine and cosine. Moist will have to grapple with gallons of grease, goblins, a fat controller with a history of throwing employees down the stairs and some very angry dwarfs if he's going to stop it all going off the rails..."
Why am I eagerly awaiting Raising Steam? I am a HUGE fan of Terry Pratchett and his Discworld series! And althought my fave books there are the ones that involve either the witches or the Night Watch, I can't wait to see what twist is he giving the coming of the train to Anhk-Morpork! Completely by chance, following a link from Twitter to a giveaway, I stumbled upon this post from Bookish Treasures about a new challenge, called NetGalley November. What's this challenge about? Well, apparently is not rare for any book blogger to have quite a huge TBR pile of eARCs on NetGalley to read and review (so glad to hear I'm not the only one!) so the ladies at K-Books, Bookish Treasures and A Daydreamer's Thoughts have created a challenge to attack that pile and improve our approved to reviewed ratio on NetGalley! In case you are wondering, yes publishers do take that ratio into account before approvals, so better get it into the recommended 80%! To really give me a boost and aim high I'm gonna go for Hard and hope to read and schedule reviews for between 11 to 15 NetGalley ARCs! What I really need to achieve is get to the 80% ratio! Friday Reads: ARC Review of Katya's War by Jonathan L. Howard!! For this week's first edition of Friday Reads I'm starting with the second book in a great new addition to YA science fiction, The Russalka Chronicles. I got the ARC for Katya's War via NetGalley and that reminded me that I already had book 1 (Katya's World) and that I needed to read it, which means I've read both books in quite quick succession. Since this is the review for book 2 in the Russalka Chronicles series it means it will have inevitably spoilers for book 1, so be warned. I will however try my very best to keep the review as spoiler free as possible for all the twists in this book. Katya's War starts a few months after the ending of Katya's World, and we see Katya still adjusting to her new position as the hero of Russalka, the captain of the Lukuyan and still trying to recover emotionally to all the hardships she went through. But her emotional turmoil has nothing on the war turmoil that Russalka's going through, the civil war is getting more brutal by the minute. Katya is trying to do her job and make a life for herself but it seems that she won't be allowed to limit herself to that. When Kane barges again into her life with completely unexpected revelations and an even more unexpected crazy mission for her, she's thrown back into the action with her world completely thrown upside down. This book has all the things I loved from Katya's World and takes them to the next level. There's more world building, more character development and the plot keeps on thickening! Katya does a lot more growing up in this book, trying to deal with the tough truths that are put before her eyes and struggling to decide what to do about it and how to do it. Katya is not the only character that grows but she's the one that's mainly in the spotlight. Her choices won't just affect her or a band of people, this time her choices can change the course of history of the whole world. As with book one, there's plenty of action, plenty of moral dilemmas and no romance whatsoever, even if I keep on wondering if we're not getting a few hints here and there about what might be? Still, I don't see romance becoming a driving force in this books at any given point! The ending... well, I really didn't see it coming at all! And what an ending! It clearly qualifies as a cliffhanger but even though I just can't wait to read the next book, I don't consider it one of those killer cliffhangers (maybe I'm getting used to them now?). Katya's War is what any second book in a trilogy should be, a fantastic read on itself, one where the action progresses the plot, the stakes keeps on getting higher and we get some unexplained lil tidbits that we hope will make sense in the last book! No middle book syndrome for this one at all! Very well deserved 4.5 stars!